As I continue to develop the plaid technique, I stumbled on a better way to work in joined rounds! This simple fix makes the join look much nicer and it’s very simile to incorporate into your work. 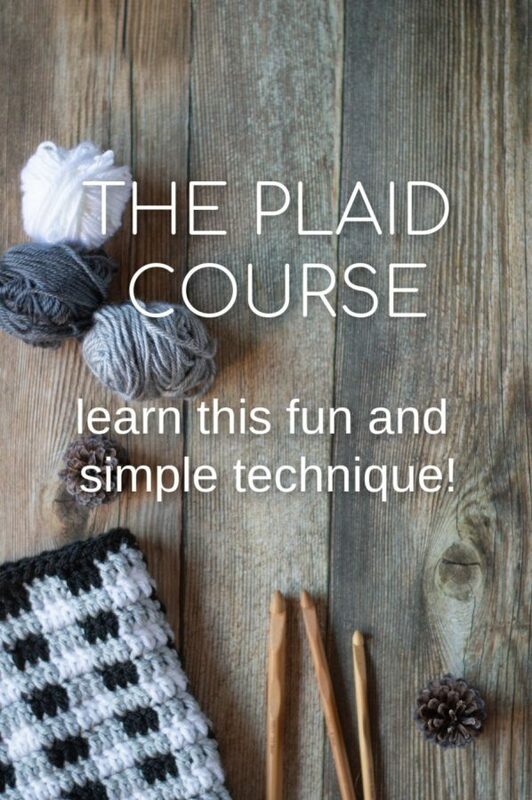 Learn how to join the plaid stitch, the new way! Hey all! With Plaid Week starting in just a few days, I wanted to quickly share the new way I will be joining rounds. It’s not drastically different, but it makes the seam look much nicer and it is definitely worth mentioning before we get started. In the past, I have either worked a ch 2, then counting the ch 2 as a st, work a dc in the next 2 sts. I don’t love this way, it makes the stitch look sparse and holey. The other way is to work a ch 2, not count is as a stitch, and work a dc in the same st. This eliminates the “holey” problem, but causes it to look like there are 4 sts in the first plaid set. Somehow it dawned on me to do it a different way. 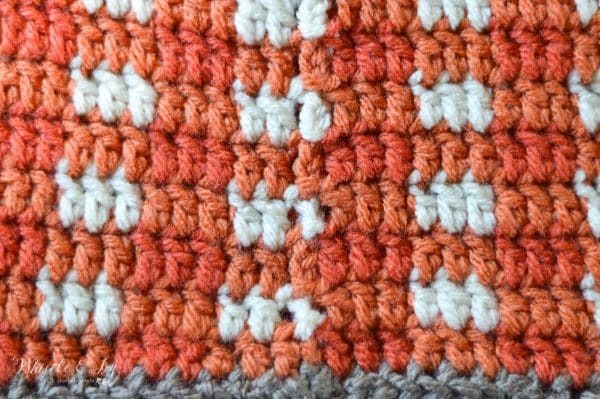 To achieve this more seamless look, you will work one less stitch in the first plaid set. Begin with a Ch 2. The Ch 2 will NOT count as a stitch. Then, work a dc in the same st and the next st. 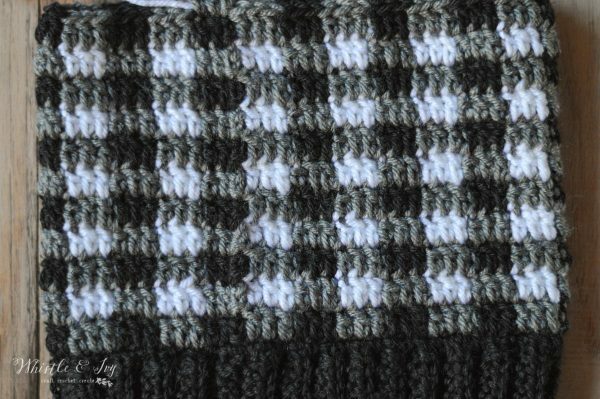 This will technically only be 2 stitches in the first plaid block, but the ch 2 will make it look like three, making the seam much less noticeable, and the plaid patterns uniform. To finish the round, you will join with the first dc, not the ch 2. 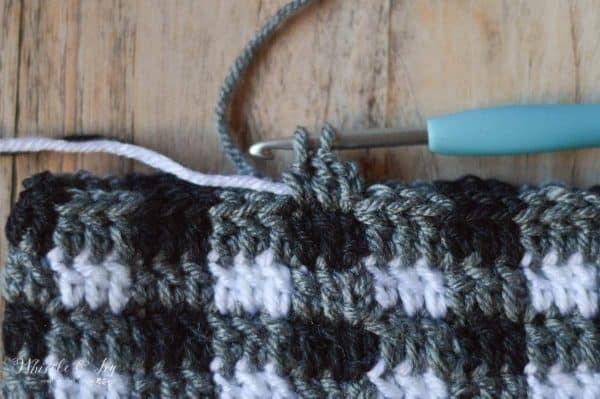 This will mean that when you are working the Plaid Stitch on a projects with joined rows, you will work in multiples of 6 minus one. 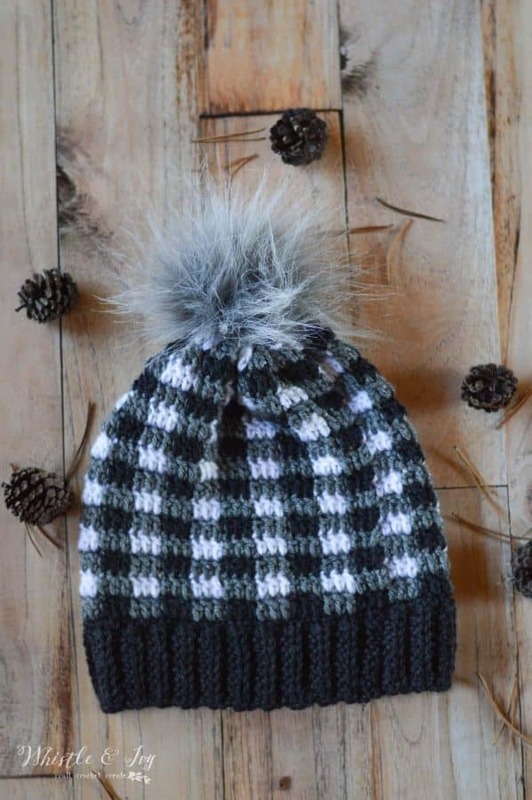 So for the Plaid Slouchy Hat, it was originally a count of 72 sts around the hat, a multiple of 6. 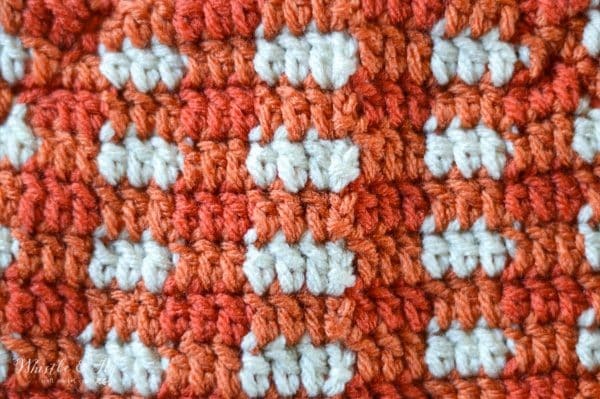 To work the updated version, you will work 71 stitches, which is a multiple of 6 minus one stitch. All of the patterns worked in joined rows will be written this way for Plaid Week 2017, however, all the patterns from last year’s Plaid Week have not been updated, so keep this in mind when you go back and work older patterns. You can, of course, work them as written! But keep this in mind if you want the pretty seam. Doesn’t it look nice? Definitely a much better way. Stay tuned! Plaid Week starts in 4 days! 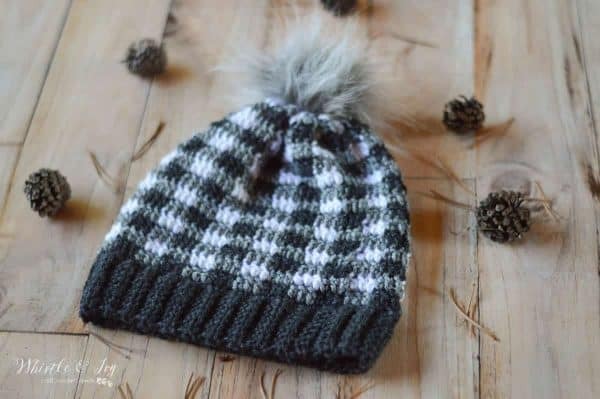 Can the plaid slouchy be made with a fpdc and bpdc brim? Sure! 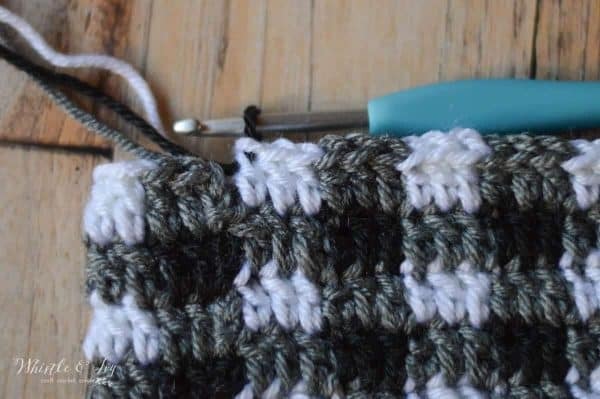 It’s worked from the bottom up, so you would still need to make the brim first. Yes! 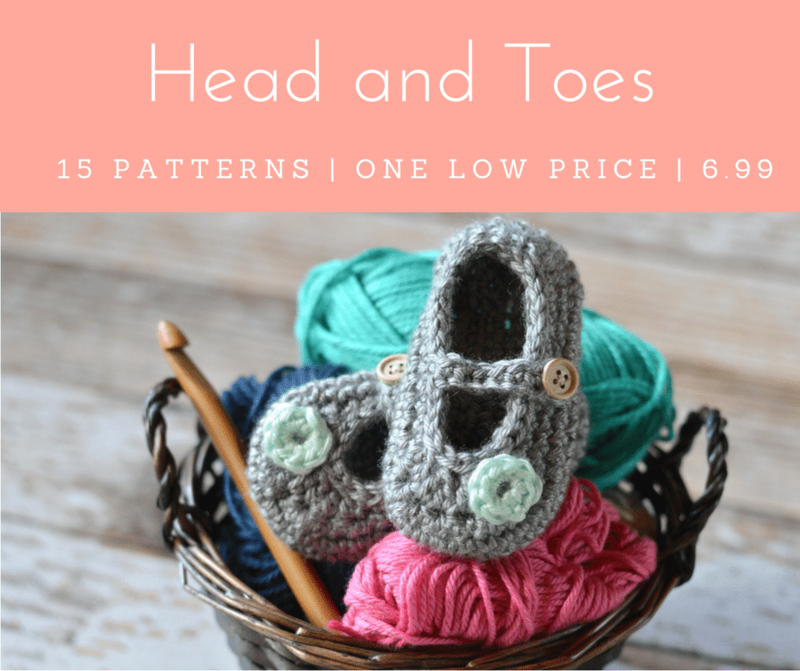 It’s Dove Heather, White and Cobblestone Heather, they are ALL on sale right now, too! oops! Nope that was wrong, I used Asphalt heather (the blackish color), Cobblestone Heather and White. Sorry about that! I originally tried making it with Dove Heather and the gray was too light. Awesome, thanks for that! And thanks for providing that link, I can’t wait to try it!! I absolutely love your plaids! The red, Burgundy and black plaid, the young chickys call it Buffalo Plaid! I made your slouchy hat with a pompom last winter, love it do much thay i ended up making, a cowl, earwarmer, & boot cuffs to go with it! That set was such a hit that I made 12 sets by request!! I just bought yarn to do a pink plaid set! Love that one too! 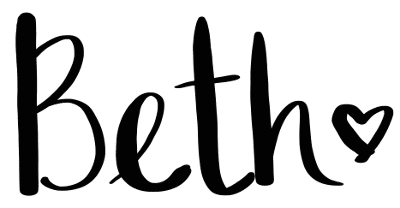 Your site/blog is so amazing! I love everything that you do! Thx so much!!! Donna M.
Donna you are so sweet! I am so glad you like the plaid! Thank you for your kind words! 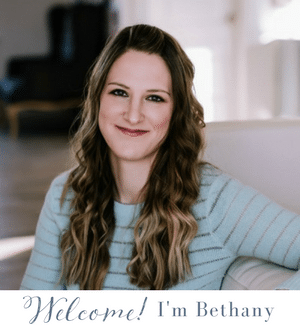 Hello Bethany Thank you for your create work in designing the plaid patterns. I made the hunter plaid beanie and infinity scarf for my daughter who is living in England and they turned out lovely. Glad you fixed the join part though. will try it next time. Cheers Louise from Australia. Glad you like it Louise! Thanks for your kind words, have a great week! Brilliant! I love your plaid designs and have made the infinity scarf 3 times, with more requests for them all the time. You are right on trend with this plaid look and thank you for attractive, timely, crochet designs.